...e Jews from the Gentiles were laws given specifically to separate them like circumcision (Gen. 17:14) or food laws (Lev. 20:24-26) which we know from the rest of the NT (e.g. Acts 10) were problematic for the infant church. Therefore, we see in this passage that the Apostle declares the abolishing and destruction of such ceremonial laws while not speaking a word about the abolishing of the moral law, but rather, elsewhere arguing that it is common for all men (Rom. 1:18-32; 2:12-15). This he could not have done if he had not seen a certain division within the law. See also 1Cor 7:19 below. In Romans 13:8-10 the Apostle cites 4 laws from the second table of the Decalogue and then adds “any other commandment” and finally concludes that this is fulfilled in loving one’s neighbor as one’s self. What other commandment could the Apostle have in mind other than moral commands like the fifth commandment about honoring our parents, or the ninth commandment not to lie or bear false witness. 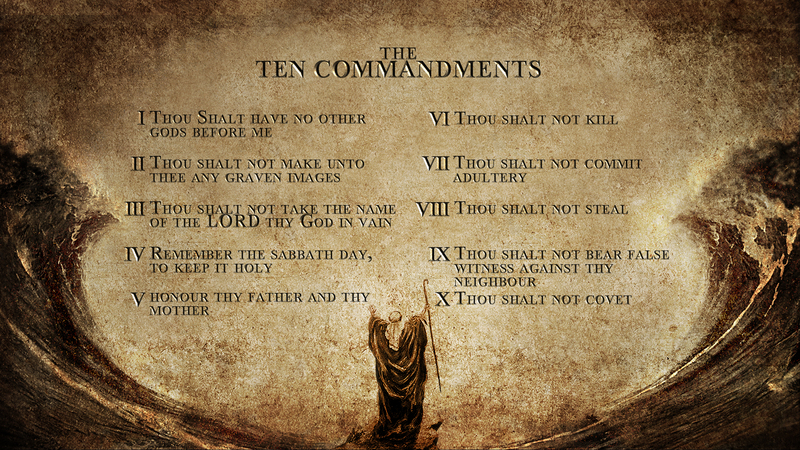 It is the commandments of the Decalogue and those derived from them that fulfill the “law”. How is love shown to neighbor by being circumcised, not eating certain foods or offering sacrifices? Rather, if we love our neighbor we will not do anything morally wrong to them, but rather will love them and thereby fulfill the moral law. Putting all the biblical evidence together, especially from the Old Testament itself, we see a certain and in some cases a threefold division arise in Mosaic Law. The law is divided between the moral law which is unchanging and always binding; the ceremonial law which was typical, shadowy and temporary; and the civil law which was the constitution of Israel and also had a temporary character. But these things will be discussed later in the appropriate paragraphs.